There is more than one band with the name "Lex": 1. LEX is a Queens-based MC who represents himself through his music. With no patience for fraudulence, LEX effortlessly strings together lyrics that come from everything he represents as a man. A father of two, a hard-working 9-to-5er, and a man who observes the world around him with a keen eye, LEX paints pictures of his experiences through words. Letting his soul show through everything he writes, being one-dimensional is impossible. 1. LEX is a Queens-based MC who represents himself through his music. With no patience for fraudulence, LEX effortlessly strings together lyrics that come from everything he represents as a man. A father of two, a hard-working 9-to-5er, and a man who observes the world around him with a keen eye, LEX paints pictures of his experiences through words. Letting his soul show through everything he writes, being one-dimensional is impossible. With a deep and rugged voice, LEX lets his versatility show throw various flows and an incredible ear for top-notch production. He is articulate without being condescending. His messages can be soulful and deep without sounding forced. Listening to LEX's music is like having a conversation with the man. The music is timeless, and the lyrics are a tour through life as he sees it. For more of LEX's music, listen to his work as a member of Queens-based group Sinistah Circle. LEX is also a founding member of the New York Rhyme Exchange. 2. Gothic Rock band from Lithuania formed in 1997. After a month of rehearsals band (then unnamed yet) organized a concert in memory of russian band "KINO" singer Viktor Coi. Concert was not very advertised, so there were about 30 people auditorium there. After a few months band did a gig at Siauliai Region Youth Centre. There were about 300 people who listenedto the concert. In February 1998 - band did a pair of gigs in their school. After a few changes in band's line-up the band began its new period, some new songs were created and others were remade, what gave them more professional attitude. 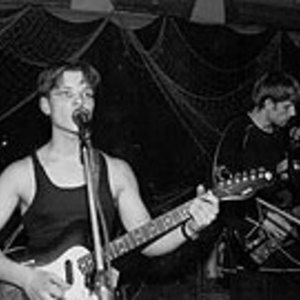 Band LEX made three gigs in one month in June 1998, one of them was the ending of the schoolyear in their school and the show was watched by 300 people of various age, the art rock band SKYLE from Vilnius participated in the show too.